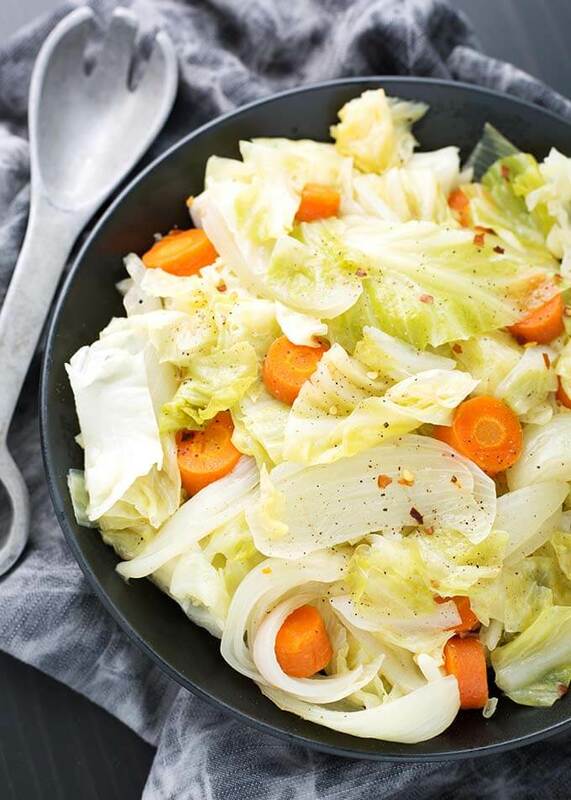 Instant Pot Cabbage Side Dish is a perfect vegetable blend. The cabbage is perfectly done, and the onion and carrot compliment it. 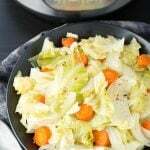 This pressure cooker cabbage side dish is simple, subtle, and very delicious because of this! A healthy Instant Pot recipe. Eat your vegetables! Not always what we want to do, but it’s important. So why not make veggies super easy to prepare, and delicious? 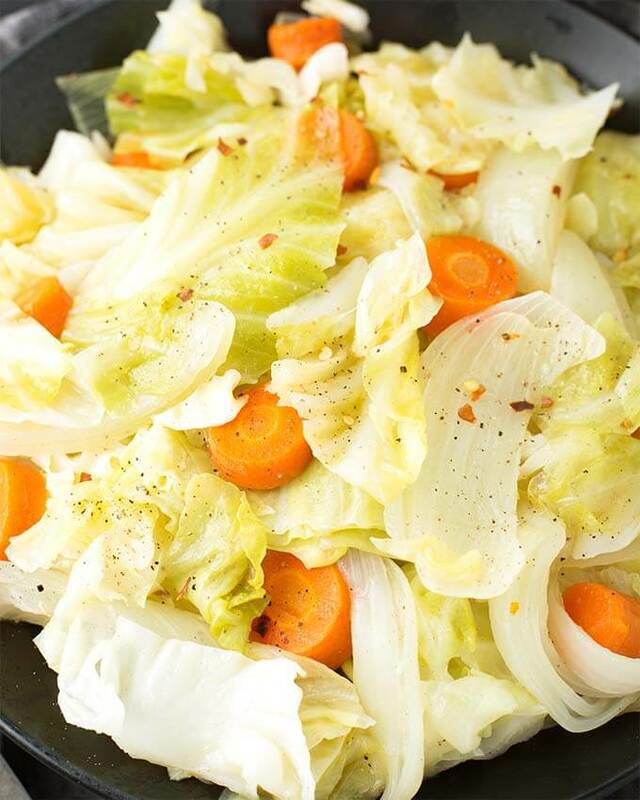 Pressure cooker Cabbage braised in a little butter and broth, with onion and carrot is simple and healthy! I love to make cabbage in the Instant Pot®. I can cook it with less fat, though I do like a little, and get tender, flavorful cabbage that I love! This is also an Instant Pot Dump and Start recipe! Which type of Cabbage is Best for this recipe? Green cabbage is the best type of cabbage for this recipe. You will need a 2 lb head of green cabbage. This is a simple, vegetarian vegetable side dish. If you replace the butter with olive oil, it becomes an Instant Pot Vegan side dish recipe! If you want another delicious cabbage recipe, this one uses bacon, apples, and has a sweet & sour thing going on. It’s my Instant Pot Braised Cabbage and Apples. I wanted to create a version of cooked cabbage like the one I remember from my childhood. I told my son that I made this and he was like “Yay.” Not impressed. But he agreed to try it and said, as he was plowing through the bowl of it, “Mmmm, this is really good, Mom!” High praise! 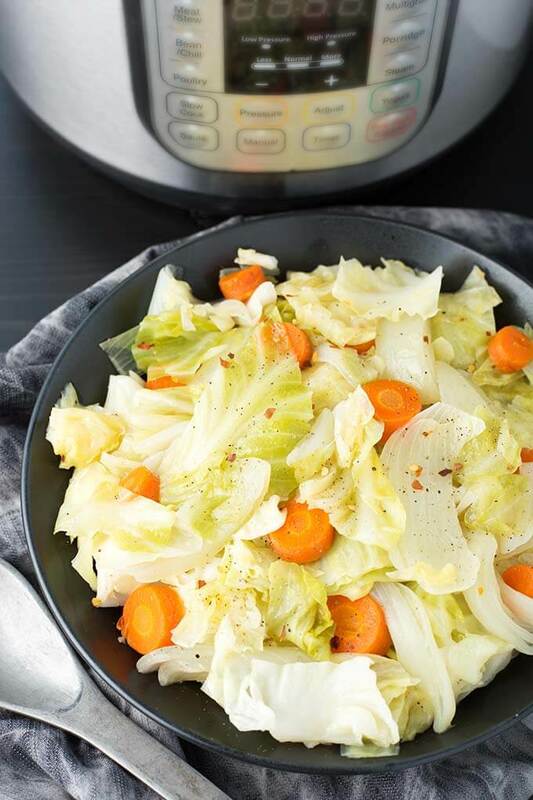 Instant Pot Cabbage Side Dish is a perfect vegetable blend. 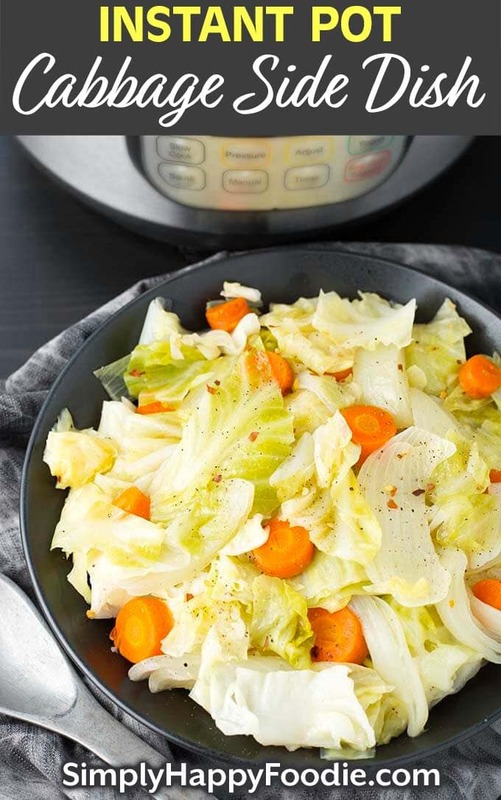 This pressure cooker cabbage side dish is simple, subtle, and delicious! A healthy Instant Pot recipe. Cut the cabbage into 2" - 3" pieces. Slice the onion into 1/2" wide slices. Cut the carrots into 1/4" rounds. Set aside. Add the butter and water/broth to the pot. Add the cabbage, onion, and carrots to the pot. Sprinkle the salt and pepper, and red pepper flakes over the vegetables. Stir to mix up the veggies. Press the Pressure Cook/Manual button or dial, then the +/- button or dial to select 3 minutes. High pressure. The pot will take several minutes to come to pressure. When the cook time is finished, immediately turn the steam release knob to the Venting position to do a Quick Release of the pressure. When the pin in the lid drops back down and the pressure is out, open the lid. Stir the cabbage. Serve hot with a little more freshly ground black pepper. This recipe is for a 6 qt pot. If you have a 3 qt pot you might need to use a smaller head of cabbage and a medium onion. If you have an 8 qt pot, increase the water/broth to 1/2 cup.